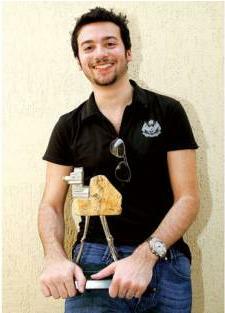 Mustafa's first short film, 100 miles won him the best non-documentary film award at the Emirates Film competition in 2007 and was an Official Selection of the Emirati Voices section at the Dubai International Film Festival (2008). 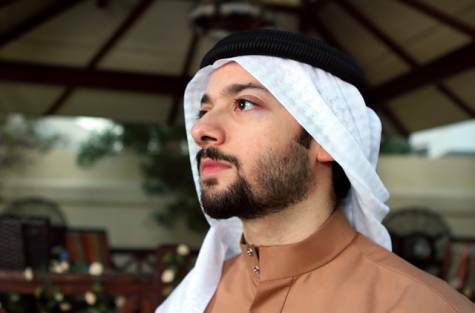 At an age when many would be struggling still to find their feet in their chosen career, 27-year-old Emirati Mustafa Abbas has madea mark for himself with several amateur short films winning him national and international acclaim. 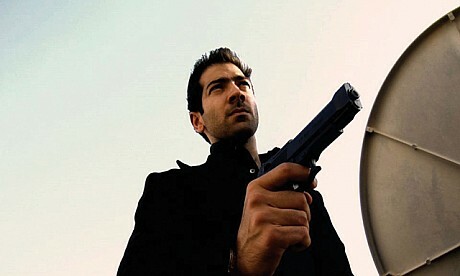 His first full-length feature film, Criminal, is set for release this year and will be screened at the 2012 Gulf Film Festival from April 10-16. Mustafa had a passion for film from an early age, spending all his pocket money on movies. He began playing with a video camera at the age of 12 and by the time he turned 17 had written and shot several amateur home videos starring his friends. It won him the best non-documentary film award at the Emirates Film competition in 2007 and was an Official Selection of the Emirati Voices section at the Dubai International Film Festival (2008). My decision to become a film-maker was notan overnight thing. I ate, lived, slept and dreamt movies. Now it is an intrinsic part of who I am. I work on a film with a calculated frenzy. People inspire me and when I meet someone I find interesting, I try to includetheir character in my movie. While I don't think there is any particular film-making formula to follow, I think the most important part of a movie is the middle section. That is the soul of the film, the heart of the movie. Anyone can come up with how a movie should start. But to sustain interest a film needs to develop strongly. If it starts wobbling in the middle, it is bound to end badly. Crime thrillers are my area of interest. People's behaviour fascinates me; I am awed by how the nature of a protagonist can change depending on the circumstances he is in.I have realised anyone is capable of doing anything. It all depends on the situation. Great dialogues have an important place ina film, but silence is powerful too. I firmly believe that silence, when used well, can heighten the suspense in a scene and help take the movie forward. It is nice to win awards and have your film screened at Cannes. As far as my films are concerned, I feel I still have a long way to go. As a filmmaker I am the writer, director and cinematographer but I have a stake in everything to do with the film as it is my vision that is being brought to life. I am flattered when I hear critics comparing my films to American action films. So far my movies have been in English. But now I have written a story for an Arabic movie which is about street gangs. The film industry here is new but the good news is, it's happening. I do not believe the art of film-making was made for the sake of competition. It was made for entertainment,for escape. My favourite film-makers are Martin Scorsese, Michael Mann and Christopher Nolan. It would be nice to have more production companies (not just rented facilities) here - companies that handle the entire film from funding to execution. Movies are what have defined my life, my hobbies and my passion ever since I can remember. As a child I would use up all my pocket money on buying video cassettes. I was the only son - I have three sisters - and while my father is a businessman and my sisters decided to follow suit, I branched out into the make-believe world of films. I enjoyed watching movies while I was growing up. I would be so mesmerised by movies that as soon as the screen came alive with characters, I would be completely lost in that world. The most memorable movie I have watched is without doubt Michael Mann's Heat starring Al Pacino, Robert de Niro and Val Kilmer.I recall buying a VHS copy of the film and watching it several times when I was younger. I even spent hours making notes on various aspects of the film. In fact I have done that on several films I've liked. By the time I was 12I used an amateur video camera to direct and shoot five of my friends in an action video using toy pistols. By the timeI was 14 I began realising the importance of scripts and narrative. By 17 I had begun writing, directing and producing films. Initially, my parents thought film-making would be a passing fancy, but when I told themI wanted to study film-making after I completed my schooling, they let me follow my dreams. Watching movies to me is like meditation.I can completely lose myself and be transported to another level of existence. What do I do in my free time? I love photography and writing poetry about the complexities of human emotion. I don't know where to begin. There's so much I want to do, so much I strive to do. All these films that I want to make, and bring to life. Of course, every film-maker wants to win an Academy Award, but Martin Scorsese put it very succinctly when he finally won the Oscar for best film and best direction for his saga, The Departed, in 2007. He won after 30-something years of film-making, and he was once quoted as saying: "The great thing is that I got to make the movies I wanted to make." So as wonderful as recognition is, my dream is to do all the movies that I have in mind without thinking too much about accolades. I want to give vent to my creative abilities and make some great movies.